You won't be able to nap in a self-driving Caddy and that's not a bad thing. 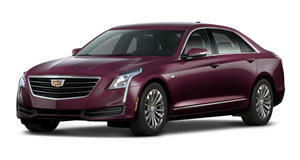 In case you forgot, Cadillac’s Super Cruise is on its way and will launch later this year on the CT6. It promises to bring semi-autonomous capabilities to the automaker's lineup. AutoGuide recently spoke with Brandon Vivian, chief executive engineer at Cadillac, about the tech and how it works. For starters, the goal with Super Cruise is to allow the car to pilot itself without the system constantly asking you to touch the wheel. As we wrote earlier Super Cruise will not require physical input but will monitor the driver and periodically check-in. “It’ll be completely hands-free. The difference between our system and others is that we’ll have technology to monitor the driver and make sure that they’re being attentive,” Vivian told AutoGuide. Facial recognition software and eye-tracking technology are two of the ways Super Cruise will discern if a driver is awake and attentive or drifting off to sleep. Steering wheel lights will light up and flash if the system detects the person behind the wheel nodding off or not paying attention. Perhaps the coolest feature of Super Cruise, and the element that may make Cadillac’s self-driving tech safer than the competition’s, is the fact that it’s geo-restricted. “It’s geo-fenced to interstates only and we have those mapped,” Vivian said. That’s bad news for people who thought they could activate the tech while stuck in bumper-to-bumper city traffic. It’s a smart idea from Caddy, though, as it ensures people won’t try and use Super Cruise in dangerous situations or in situations where the tech just can’t cut it. As Tesla has learned the fine print is very important when it comes to marketing the capabilities of cars with autonomous tech. We test drove a CT6 not so long ago and were generally impressed by Cadillac’s flagship four-door, even if there were some quality issues. Needless to say we’re looking forward to testing out the new CT6 equipped with Super Cruise.